Below you will find answers to a number of questions that we are frequently asked about the Wilderness Travel Course. How physically demanding is WTC? You must be in reasonably good shape but you don’t need to be incredibly athletic. If you can complete a 12 or 14 mile hike with 3000′ to 4000′ of gain you will do just fine. This is equivalent to hiking round trip from Chantry Flats to the top of Mount Wilson and back. WTC is typically run as an adult course. A minor under the age of 18 and at least age 14 may be permitted to enroll in WTC with prior approval of the WTC course leaders. The minor must be able to exercise good judgment and follow the directions of the group leaders. Additionally, a minor must be accompanied by a WTC-enrolled parent, legal guardian or appropriate chaperon throughout the entire course. A chaperon must be approved in writing, and a Sierra Club Minor Release form must be signed by the parent or legal guardian. There is no upper age limit. To participate in the course, each student must be capable of completing all course trips: full day hike, cross-country/navigation, snow travel, and snow camp. If you are considering enrolling a minor in the course, please first contact us. All applications must be submitted online. You have the option of payment by credit card or PayPal (if you have a PayPal account). We do not accept applications or payment by mail. If you have any questions regarding registration, please contact the WTC Registrar. This information is also on the Registration page. Why is the WTC course only held once each year? This is mostly because of the fact that we need proper winter-spring conditions for our snow and desert outings. Also, it takes our all volunteer staff several months to organize and prepare for the class which itself spans nearly three months. Who are the WTC instructors? Where are WTC classes held? The classes are held in four different areas: Carson (LBSB), Orange (OC), West LA (WLA), and Pasadena (SGV). See Class Locations for maps. How many class sessions are there? There are ten classroom sessions. They are conducted on one evening each week for a total of ten weeks. See The Course for details. See The Schedule for dates. What time are the evening classes? How many outings are there? There are four outings during the course. Two of them are single day outings and two are weekend overnight outings. There is always at least one free weekend between each of the outings. See The Course for details. How do I get to the outings? The single day outings are in the local mountains and students usually carpool to those locations. For the overnight weekend outings, we provide bus transportation. There is no extra fee for bus transportation. Must I attend all of the class sessions and outings to Graduate? In order to graduate from WTC, you must attend all ten classroom sessions and all four outings. In addition, complete two post-course experience trips and submit your completed student registration card. If you have not yet completed all graduation requirements, you have up to one year to make them up and graduate. Any makeup classroom session or course outing is subject to availability, approval by your group leader, possible fees and is not guaranteed. Hang on to your Student Card as this is your record of what you have completed. Notify your Group Leader to discuss the possibility of making up a course session or outing. Experience trips made up the following year need only be entered on your Student Card and turned in to your Area Registrar. Can I make up class sessions or outings that I miss because of a legitimate excuse? We encourage you to do everything that you can to make the classroom sessions and outings with your own group. You can usually arrange to do a specific class session with another area group if you are forced to miss one. Your group leader will discuss with you options if you miss an outing. Making up an outing requires both the approval of your group leader and the group leader in the make-up area. What is the required textbook? In addition to our Student Handbook, the required text is “Mountaineering: Freedom of the Hills” (8th Edition) by The Mountaineers. A print copy is available through WTC (only to students) at a reduced cost of $25 during the on-line application process. The book can also be purchased at the time of the class. Click here to find out more about the textbooks. Yes. A compass is one of the “10 Essentials” that you must always carry with you. While all compasses perform the same basic function of pointing to magnetic north, you will want to obtain a compass that has the features used by backcountry travelers and mountaineers. Inexpensive compasses do not provide all of the functionality that will be required in this course. In order to make a compass purchase easier for you, students in WTC may purchase a compass at a reduced cost of $45 during the on-line application process. The compass can also be purchased at the time of the class if there are any still available. Click here to find out more about the compass. How much rock climbing is done in WTC? We teach basic movements for rock scrambling, including techniques such as mantling, chimneying, smearing, edging, crack climbing, and making the best use of holds. We do not do anything that requires the use of ropes, ice axes, crampons, or other climbing aids. Nonetheless, each student is provided with a helmet and all are required to wear a helmet during our climbing exercises for safety purposes. Safety is always a priority with us. Should I purchase equipment before WTC starts? NO! Please wait until class begins before purchasing any gear or clothing. In WTC you will learn exactly what is needed and what is not. You will also learn what features your equipment and clothing should have. Additionally, many outfitters give our students significant discounts during the course. What about personal equipment costs? A significant amount of specialized personal equipment will be required on the field trips in this course. You may already have some items that will serve well. Other items may be able to rent or borrow from a friend. Some items you may need to buy. The latest hi-tech equipment can be expensive and wonderfully functional, but is not necessary for this course. It is possible, with some effort, to acquire serviceable equipment at a quite moderate cost. We suggest that you delay equipment purchases until you receive guidance from the WTC staff after class begins. However, the course does move rapidly and you should be prepared to move expeditiously once you do receive that guidance, particularly if you desire to pursue a low cost option. In late November-early December we will send you a registration packet that will include a waiver and a medical form consisting of basic questions that will be kept private and will only be used by the group leader. 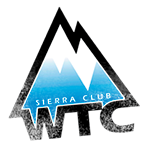 In addition, each outing will have a Sierra Club sign-in sheet/waiver for that hike or trip. What is WTC’s refund policy? (2) a 50% refund after the full refund date and before the end of Lecture One. No refunds made after the end of Lecture One. Refunds for the required text or optional compass made only if you have not received the item. Note: All refunds will be made via PayPal when possible. Please feel free to contact us by email. We will be happy to answer your questions in a timely manner. Please note this is not a link to register for WTC. To register for WTC, click here.